A European Film Noir that takes place during 12 hours of a New Year's Eve in Vienna. 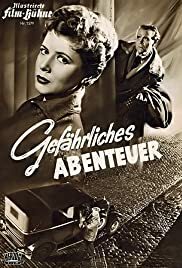 "Abenteuer in Wien" from 1952 should be regarded as one of the best film noirs produced in Europe and could compete with the best film noirs from the US. There is also an American version of this film with just a few actors changed under the name of "Stolen identity" where the soundtrack is in English. "Abenteuer in Wien" is a very difficult film to get hold of. The Austrian Film Archive issued some years ago a DVD which is of very good quality but I doubt that it is much known outside Austria/Germany. There are elements of the film which reminds of Hitchcock but in my mind this film is superior to many Hitchcock's films, as this film has also a poetic quality seldom found in Hitchcock's films . This film is both entertaining, funny, dramatic and have a fantastic atmospheric beautiful photography capturing Vienna five years after the war. Anybody enthusiastic about "Third Man" and its Vienna locations should not miss this film. The action take place during 12 hours during New Year's Eve in Vienna. The plot is very ingenious and all bits of the puzzle come nicely together. 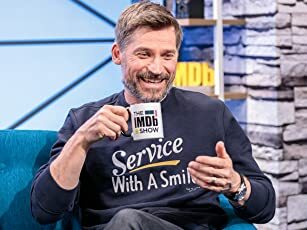 All actors are outstanding. There is no overt violence and the only shot fired is not even heard due to pneumatic drills in the reconstruction of the city after the bombings. There are fantastic scenes of New Year's Eve celebrations mingled with a chase in the labyrinth parts of Vienna which spins out to the bombed parts of the city. There is a very original touch of the movie like the murderer planning his deed while rehearsing Schuman's piano concerto in Musik Verein. In contrast the humble surroundings of the unfortunate taxi driver working without identity papers in the war torn city. By pure chance he gets involved in this murder plot. There are remarkably actors even in minor parts lasting just a few minutes which give a special colour and feeling of the film . The drunken New Year's Reveller with the balloon is a revelation lasting only a minute. These were hard times in Vienna with much of the population living of tips and bribes .There are fine vignettes of bureaucracy reminding of the old Empire I have not seen the American version of the film which seems to have only the main actors slightly changed but I doubt that the original can be surpassed. It seems almost sacrilegious that Viennese population should speak English instead of Viennese German, which is part of this picture's great charm. The director Emil Reinert died only a year after the film but his master piece deserves to be much more well known.